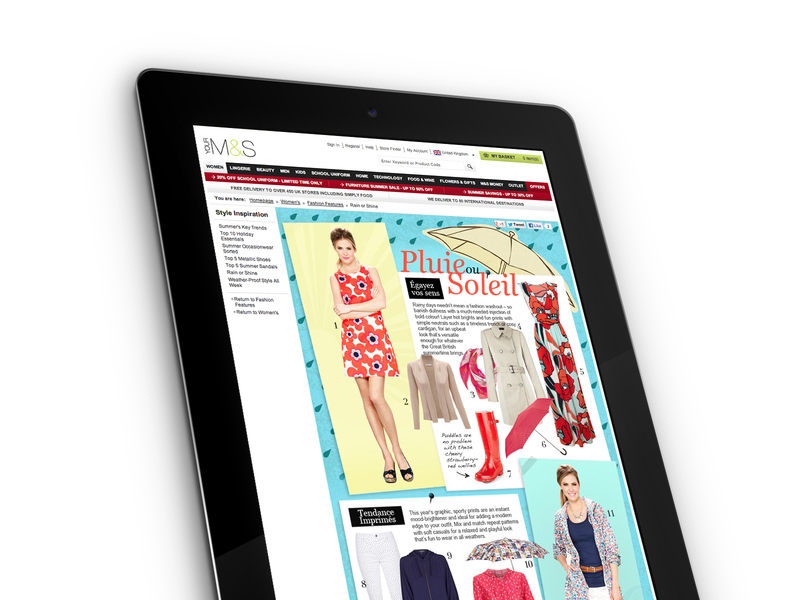 The team at M&S asked us to take a look at their french website and give some suggestions on how to better align this with their UK compatriot. This wasn’t as simple as replicating the .com content, as we felt that it was important to inject the localised personality and passion demanded by our French (25 year old female) audience. We used bright and bold colours to reflect the French design zeitgeist and created a more editoral feel to engage and resonate with our target audience. Our designs came together to create an engaging, fun and dynamic site, that was well recieved by both the UK and french territories.